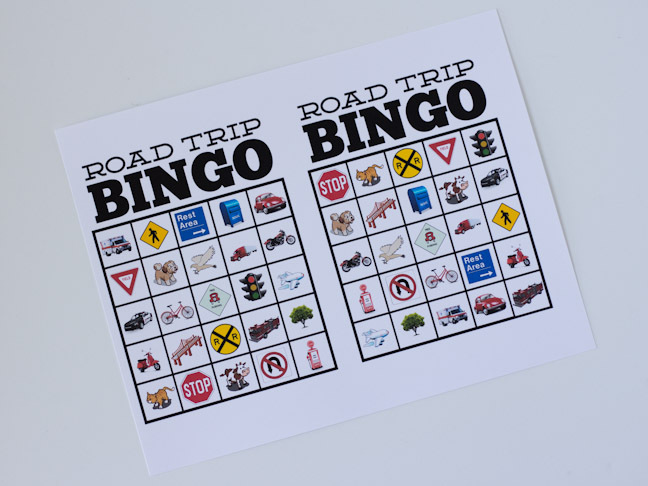 When I was a kid, long before the invention of the iPad and the built-in car DVD player, I used to love playing road trip bingo. I remember those awesome cardboard sheets with little plastic sliders to mark off your spots, but the cool ones are all vintage and hard to come by. 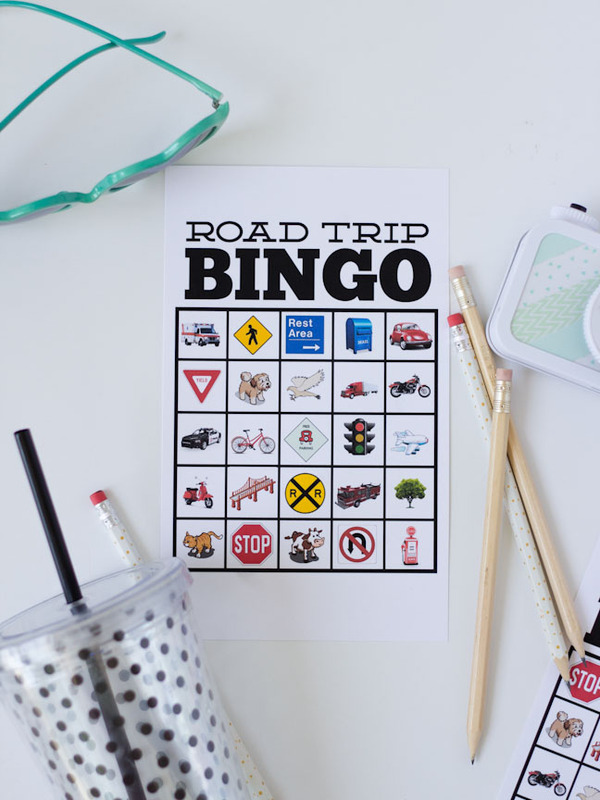 So I decided to make my own set of road trip bingo cards and share them here with you! 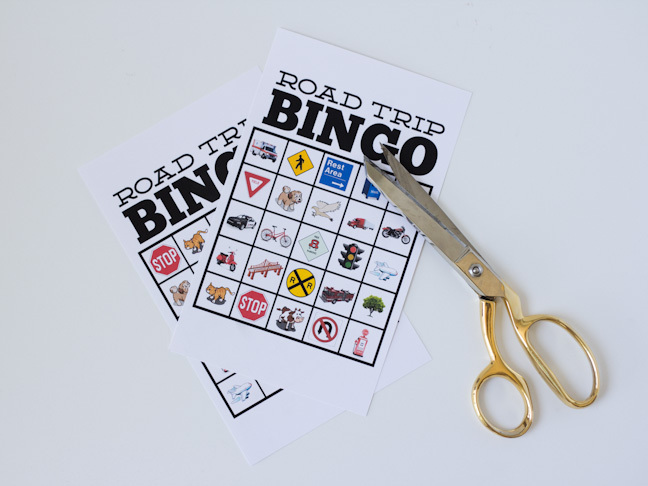 Step 1: Print out the Road Trip Bingo Printable on card stock. There are four different card layouts to allow for two to four players. Step 2: Cut and trim the printable to size. 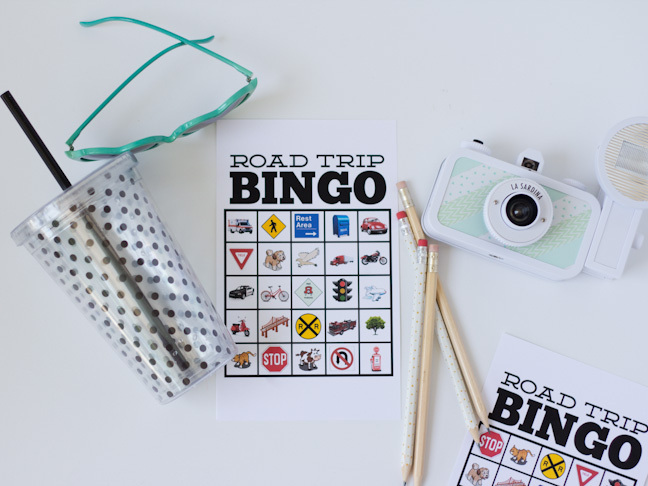 Step 3: (Optional) If you want your road trip bingo set to be permanent, you can laminate your bingo sheets and use dry erase markers instead of pencils to mark off your spaces. 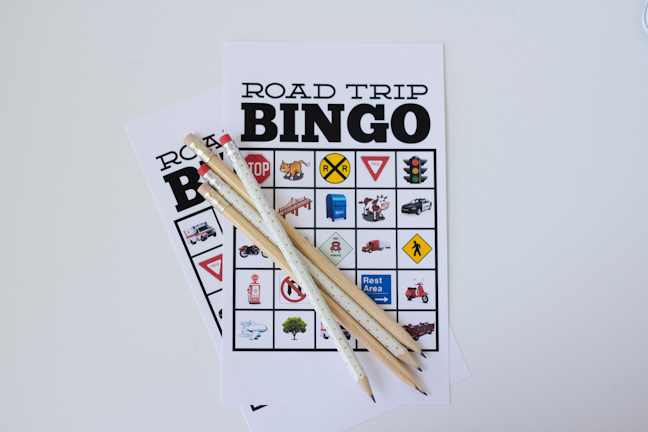 Step 4: Now you are ready to play road trip bingo! Help out your little ones by explaining what each of the little symbols means and teaching them what to look for out on the road. Step 5: Pack up all your essential road trip goodies and hit the road! 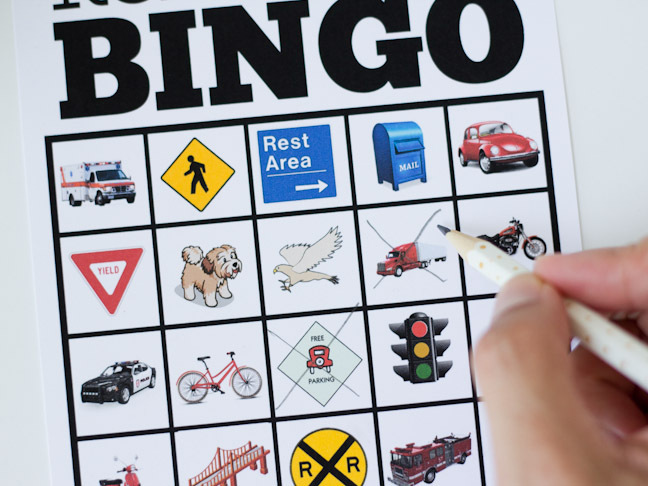 The standard rules of bingo apply here, where any line of five spots in a straight line or diagonally counts as a bingo. Feel free to play the classic variations of four-corners or blackout. Drive safe and have fun!